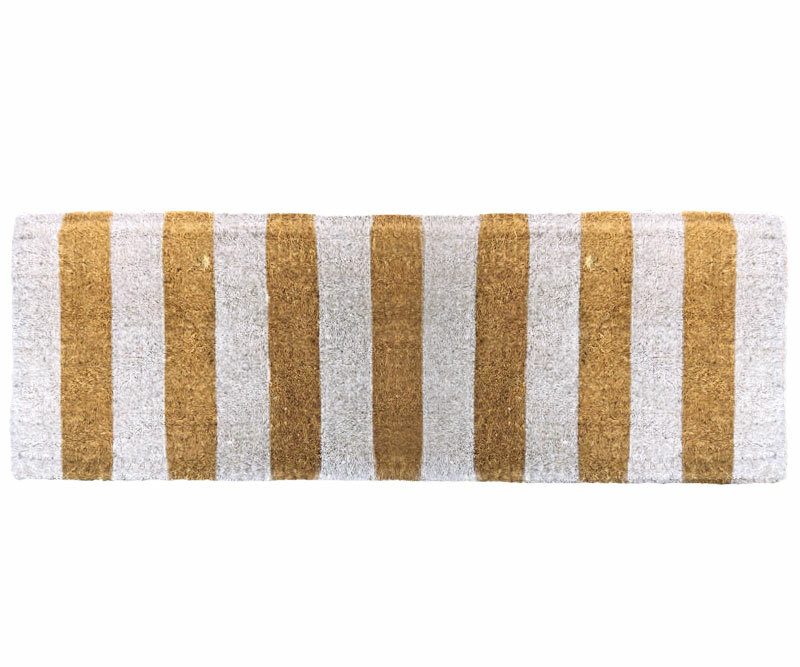 This long doormat is printed with a classic white stripes design on a quality 100% coir. Our coir door mats are thick and, made from natural coco fibres, have excellent scraping properties. Tough, durable and well-made, these doormats will add the perfect decor touch to your entrance while also being superbly practical. The colour penetrates deep into the coir fibres for a longlasting finish and years of enjoyment. Measures approx 120cm long by 40cm wide by 4cm deep. *Note: These long door mats are bulky items and need to go by courier. We do our best to calculate the correct shipping here on the site but we will contact you should additional bulky item shipping charges apply to your postcode.